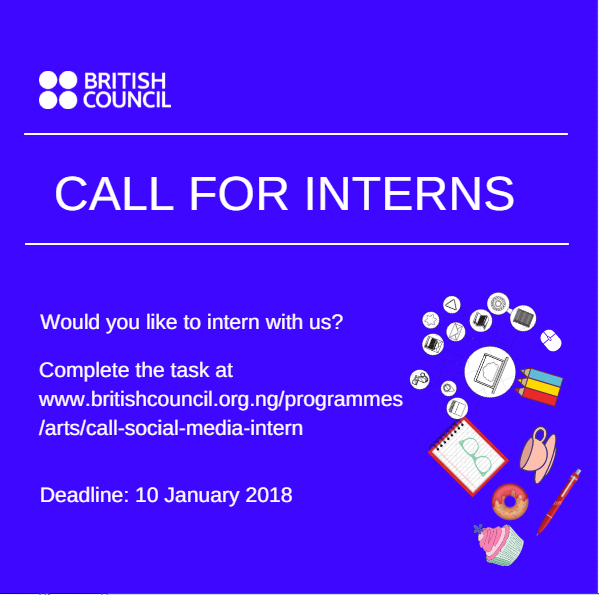 Do you love the arts and social media and would you like to intern with British Council? here's a chance. Have an interest in the arts, digital media, and social media marketing. Be a recent graduate (graduated within the last 2 years) with excellent organizational skills and the ability to multitask. This is a short-term intern position; intern roles are not a prelude to longer term employment with the organization. If opportunities for further paid employment arise, these will be advertised and interns who apply will be considered against the same criteria as other applicants. Deadline is 10th January, 2018.